Michelle received her law degree from William & Mary Law School in Williamsburg, Virginia. While in law school, Michelle served as Membership Coordinator and Staff Editor for the William & Mary Bill of Rights Journal. She also worked as a legal writing and practice teaching assistant for first-year law students, and as a graduate research fellow for the Office of Diversity and Equal Opportunity. Michelle gained courtroom experience as a member of her law school’s domestic violence clinic, where she successfully advocated for protective orders against clients' abusers. 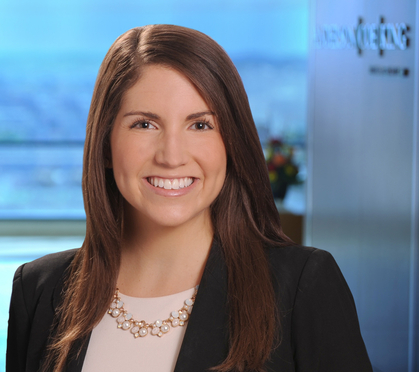 During law school, Michelle gained experience interning for LeClair Ryan, P.C., the Legal Aid Society of Eastern Virginia, and the Honorable David G. Larimer in the U.S. District Court for the Western District of New York. Prior to joining Anderson, Coe & King, Michelle served as a judicial law clerk to the Honorable Marcus Z. Shar in the Circuit Court for Baltimore City and worked at a large regional law firm.